Celebrate Better Breakfast Month by Building a Better Breakfast! Are you a fan of breakfast? I’ll admit, I used to grab a cup of coffee and just call it good -- until 11 a.m. rolled around and I felt like my stomach was trying to digest itself as I very grumpily limped through the morning. Breakfast is the most important meal of the day and that’s not just something your mother told you in order to get you to eat it. For many reasons, breakfast is incredibly important to your overall health and wellness. In fact, it’s so important that it has its own month of celebration. That’s right! 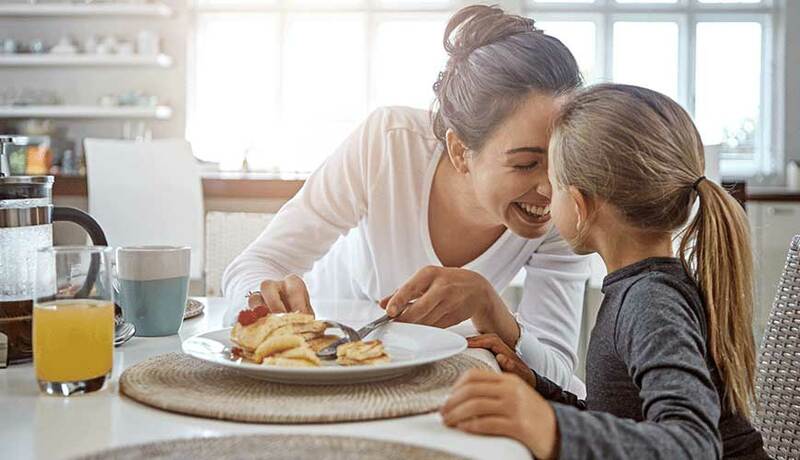 September is Better Breakfast Month and, in observation, the chiropractors at The Joint want to help you learn how to build a better breakfast -- even if you’re a committed coffee connoisseur. Maybe you’ve just rolled out of bed and are wondering to yourself why on earth you need to worry so much about breakfast (grumble, grumble). The answer is simple: It’s good for your metabolism. No matter what stage of life you’re in, breakfast helps to give your metabolism a boost. Especially if you can start the day with a balanced breakfast of lean protein, healthy fats, and complex carbohydrates (read: not a sugar bomb from your local bakery), you can boost how many calories you end up burning all day long. Another great thing about breakfast is it stops you from doing something called crescendo eating. That may sound elegant, but the result is anything but. Crescendo eating is when you skip breakfast only to finish your day by going calorie-crazy. If you can provide a steady stream of calories all day long, then you’ll provide steady fuel for your body throughout the day. Whole grains - You need carbohydrates as a part of a healthy breakfast, but sadly not in the form of a croissant. You should choose whole grain bread that has at least 3 grams of fiber per slice. Or you can just go with oatmeal! Lean protein - Protein helps you to feel satisfied all morning long, so make sure to include a lean protein option such as kefir or yogurt, cottage cheese, turkey bacon or turkey sausage, or a scoop of protein powder in your power smoothie. Healthy fats - Fats will also add to feelings of satiety. Nut butters, nuts, or avocados are a great source of healthy fats for your breakfast. Part of building a better breakfast is how you eat it. Many people grab easy-to-eat items on the go and scarf them down like an alley cat that just found a can of tuna fish. Stay away from channeling your inner alley cat. You should take the time to eat your breakfast sitting down. Chew slowly and enjoy it. If this means you must get up a little early to make it happen, then do it. When you take the time to slow down and savor your food, you pay more attention to what you’re eating and you’re giving your body the time to register feelings of fullness and satiety. If you’re in a rush, don’t inhale it. Try bringing along a portable breakfast to enjoy once you hit your desk at work. This is Better Breakfast Month, so try to make breakfast the star. Think about your breakfast habits and how you can make them better -- and start by actually participating in breakfast. I don’t want to have to let your mom know you’re not eating it.